No other window treatments are as minimalist, classic, and sophisticated in appearance as window shades, which can be a great way to enhance your home’s interior design. 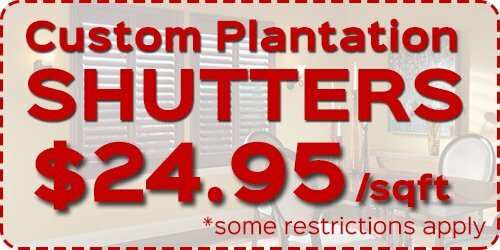 Whether you’re looking for attractive yet affordable Maui Shades, or extravagant and luxurious shades, our Maui Window Blinds & Shutter Company has the perfect selection of window shades for you home. 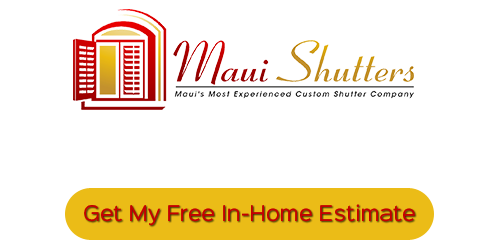 Our professional Maui window treatments experts offer free in-home consultations, during which we can help you decide on the perfect shades for you, your home, and your budget. After you’ve made your decision, we also offer free measurement. Our Maui Shades are available in a wide variety of different styles and designs. Our professionals can help you decide on which would be best for you home. Roman Shades have a classic looks and style. Because of their simplicity, they’ll be a great match for nearly any style of decoration or in any room. They hang flat when they’re lowered, and they fold up nicely when they’re raised. Roman shades are also great for sound insulation. Solar Shades can very effectively keep heat from entering your home through your windows, which can save you a significant amount of money on your cooling costs each month. In Maui and the surrounding areas, keeping your energy consumption low and your home cool are two of your biggest priorities, and solar shades can help you do that. Woven Wood Shades are typically made from natural materials like bamboo or grass. These shades are a great way to create a relaxed atmosphere in your home. They can be cut to order, so they’ll be a perfect fit for any of your windows. These are just a few of the varieties of shades that are available to you, and the shades that we provide you with will be perfectly fitted to your home’s windows. Window shades provide excellent insulation for your home, which can help you save money every month on your utility costs. Shades will go a long toward keeping your indoor air in and outdoor air outside. They’re available in a wide variety of different styles and designs, so you’ll be able to find shades that are a perfect addition to your home. No matter what kinds of shades you’re looking for, our specialists will be ready to ensure that your new window treatments are perfect for your home. If you’re looking for Maui Shades, call Maui Shutters at 808-495-3434, or fill out our online request form.